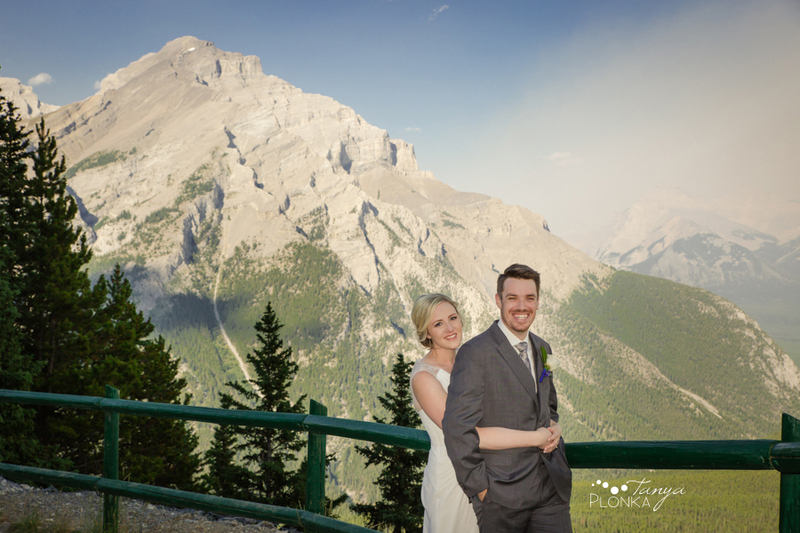 Erik and Alena began planning their Mount Norquay Banff wedding well in advance. It was so exciting when the date finally arrived as this was our first time photographing a wedding in Banff! The couple got ready in adjacent rooms at the Hidden Ridge Resort so we were able to easily bounce back and forth between them. While we were there they opened heart felt gifts from each other. They hadn’t even seen each other yet and the tears were starting! Alena and Erik are so perfect together. I loved watching the kind way they interact and the twinkling in their eyes when they look at each other. It was amazing for them to be surrounded by their dearest friends, especially since it’s all thanks to these friends that the two of them met in the first place! 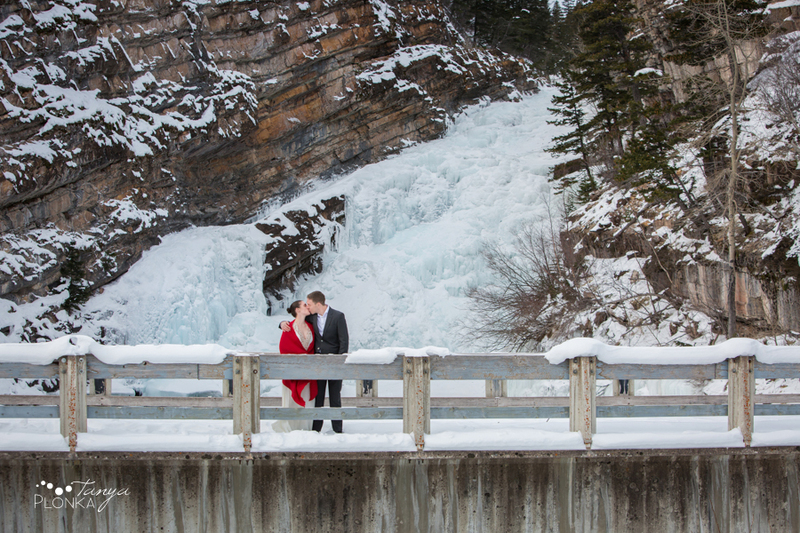 Terri and Craig got away from the city for the weekend for their Waterton winter elopement. It was a beautiful private event with just them, myself, and the marriage commissioner… very few guests were even in the park that day! It was so romantic to keep things so intimate. Their day will be so memorable not just for the intimacy, but for the weather. I think that was the craziest wind any of us have ever experienced! We managed to find enough shelter for photos and Terri’s shawl kept her mostly warm :) There was also the memorable fact of Terri having some wardrobe malfunctions with her dress, but luckily her shawl was there to save the day! 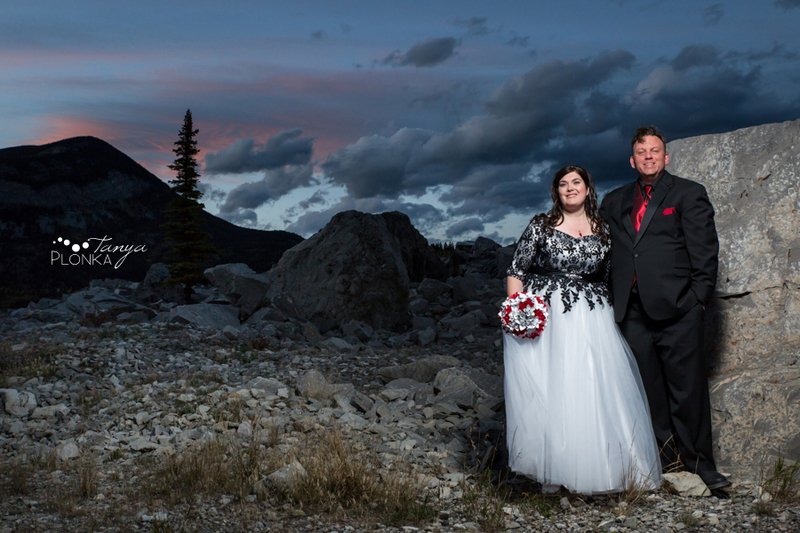 To get a break from the wind, they booked a room at the Waterton Lakes Lodge to have their wedding ceremony. They still got to have their mountain views through the window even if they couldn’t have an outdoor ceremony! It’s been hard parting with all these pretty albums this year! 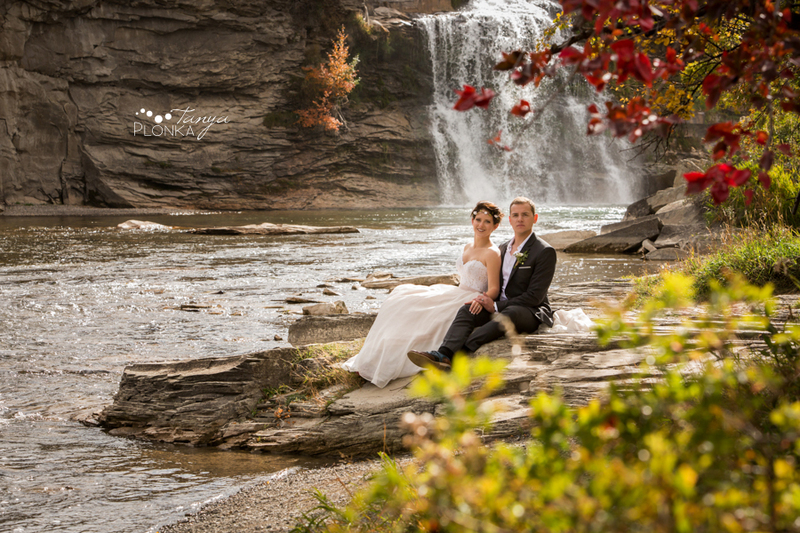 This earthy coloured book is Robert and Carla’s fall Waterton wedding album. Their autumn themed wedding at the Bayshore Inn looked gorgeous against the brown colours chosen for this album, and we went with nice big photos spread over the pages. It’s Waterton – you have to show off how amazing the landscapes there are! They chose such a gorgeous day at the end of the season in Waterton to hold their wedding. Their orange and red colour scheme perfectly complemented the fall colours and the dwindling tourists meant we got to visit a mostly empty Red Rock Canyon! Carla and Robert were a joy to work with. They are madly in love and busted out hilarious jokes every few minutes. Their wedding party members were so warm and generous too, so it really must run in the family.